The Miss Seychelles...another world 2012 pageant will take place on May 26. The winner will represent Seychelles in Miss World 2012 competition to be held in Ordos, Inner Mongolia on August 18. 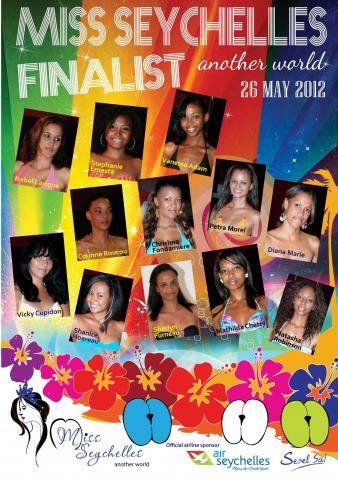 The Seychelles Tourism Board announced to the public the 12 gorgeous finalists of Miss Seychelles 2012.